Ikigai is a Japanese concept meaning "a reason for being". The search of ikigai is considered very important, Since it is believed that the discovery of one's ikigai brings satisfaction and meaning to life. In Okinawa( Japan) it is thought to be "the reason to wake up in the morning" and it is has been suggested that it is one of the contributing factors towards the people from that area having such long lives. The research and technology centre in Bosch Japan started an initiative in early 2015 to come up with innovative solutions addressing mobility needs of the Japanese elderly. I was part of the team ( together with a User researcher) to conduct design research in Tokyo to find out where the main needs of the elderly exist in the area of personal mobility. 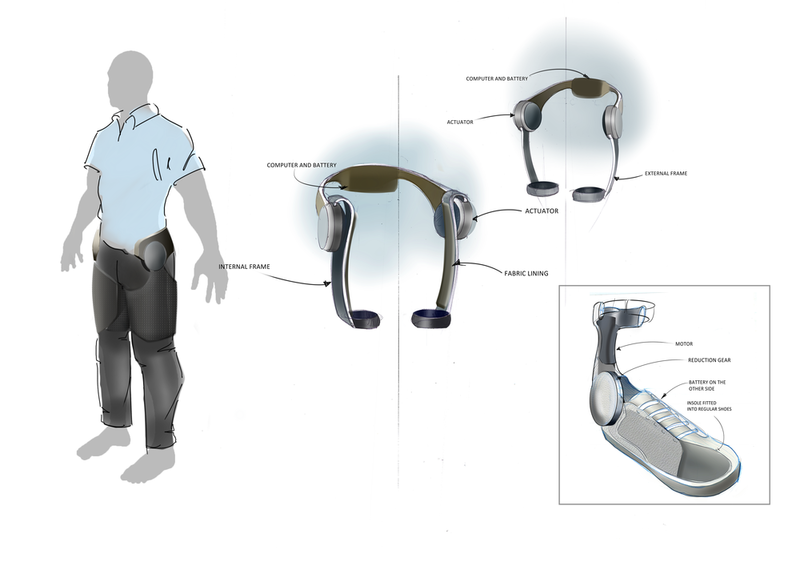 Based on the outcomes of the research we derived design directions and initial concepts for robotic wearable support devices. The goal of the research was to understand the lifestyles and the impact of mobility difficulties on the daily lives of the elderly, understand their future health concerns and expectations and capture their impressions towards adopting robotic support devices and wearable products. In order to find out these, we targeted speaking to a mix a elderly people with a musculo-skeletal issues and also experts in the field such as gerontologists, medical and rehabilitation experts. We came up with top insights in the domains of Health, Lifestyle, Living environment and impressions about Robotic support devices to set a direction for the team. Working together in an agile development approach, we developed personas and user stories for the personas to describe the intended features from the perspective of the users. My role in the project was plan and support the design research and lead the design phase of the project focusing on the design of concepts. 2nd generation prototypes for user interview and 2nd generation functional prototype have been developed, including key design directions and considerations delivered by our team.